This article explains how you can translate a Wix website to display different languages to your visitors. Making a Wix website multilingual has always been painful and complicated. The Wix platform does not offer an official feature to do that. So Wix users generally duplicate all their pages and articles in the translated languages. It’s time consuming and not efficient for SEO, actually the translated pages would not be indexed. 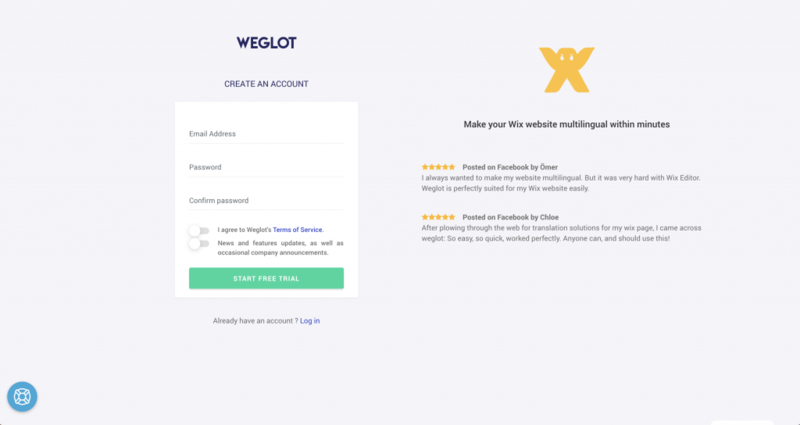 When designing Weglot, we wanted to offer a simple solution to change that, to help all Wix users to get the translation and multilingual feature on their Wix website. In the example you can see the language button at the bottom right to change the language from English to French. 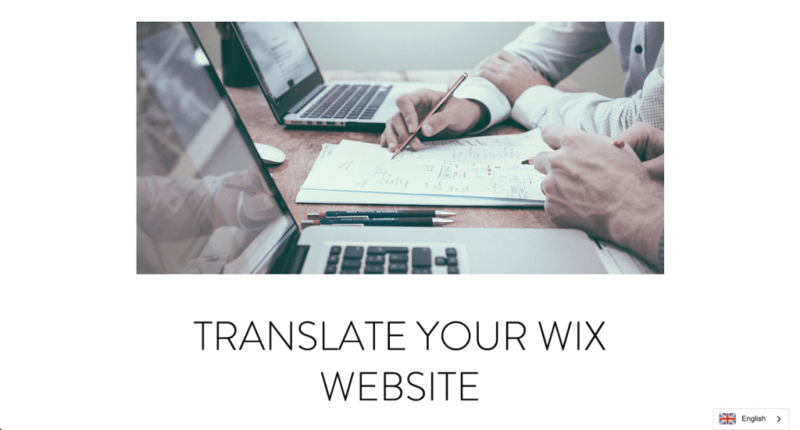 Let’s start translating your Wix website. This account will be the place where you have all your translations and where you will manage them. Simply create a Weglot account here. In this step simply enter your domain name and the languages you want. DO NOT ADD your temporary domain name ending with .wixsite.com. 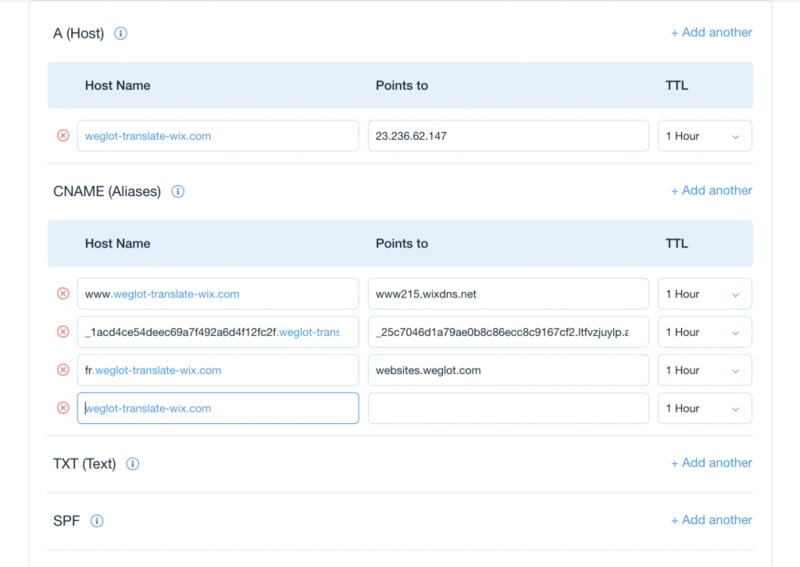 In this steps you will configure your DNS to make sure subdomains are created and connected. The subdomains will display the translations of your Wix website once configured. You need to add several entries in your DNS record. Go to your Wix admin area, in Setting > Domains. It’s what we have in the example, it’s the case when you buy your domain name via Wix. Then, you will be able to edit the DNS. Click on “advanced” like in the screenshot below. Then, you can click on Edit DNS and “+ Add another” on the “CNAME (Aliases)” line, like on the screenshot below. Enter the DNS provided at the end of step 2 and click on “Save DNS” at the top right. Go to your account and access the DNS section to add the entries. If you are not sure how to do it or where it is, we can help you. 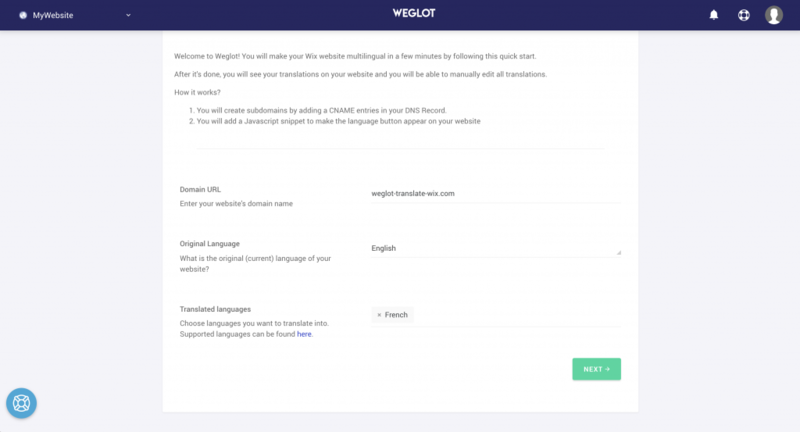 Just email us at support@weglot.com. When you added and saved your entries, go back your Weglot account tab, click “Check DNS” and you should have a green check icon, it means the DNS were successfully configured. Then, click on “Next”. Finished! If you go to your website, you’ll now see the language button appear at the very bottom right. Give a few minutes to make sure your subdomains are properly setup, then you can try to change the language and you will see your translated website.